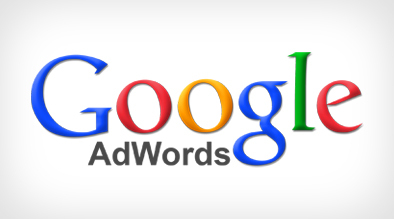 We saw many phenomenal additions to the Google AdWords user interface in 2010. Some of those new features include Sitelink Extensions, Location Extensions and new reporting. One very important obstacle advertisers faced with all these new features, however, was the tracking of extensions. Because there was no report available in AdWords that revealed how many times a sitelink was clicked on vs. the ad headline in AdWords, advertisers were forced to create their own methods of tracking traffic from sitelinks. To provide more insight into sitelink extension activity, Google AdWords recently launched a new way to segment clicks in AdWords by click type. Now we are able to compare the performance of each click type, side by side, without having to implement any new outside tracking. 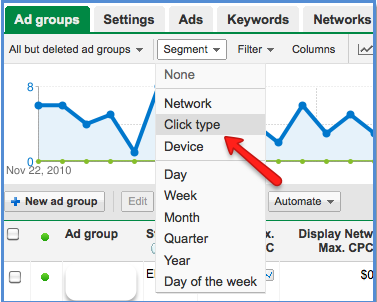 The new click type segment feature allows you to see statistics at the campaign, ad group, ad copy or keyword level. 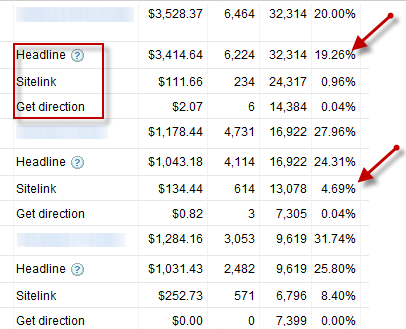 This view shows you important metrics in regards to how your ads perform when sitelinks are showing compared to how your ad performs when no sitelinks are showing. You can choose from many different columns of data to view, for example: clicks, impressions, clickthrough rate, conversions, revenue, etc. In the example above, we see that in the Universe ad group, the sitelinks received a 6x better clickthrough rate than the headline, but in the other two ad groups the sitelinks did not perform nearly as well. This is very valuable information to be aware of while optimizing your PPC campaign. Experts predict that in the near future, Google will reveal data in regards to the specific sitelink that was clicked on, so that advertisers can even further optimize their campaigns by replacing the sitelinks that are not performing. One thing I don’t get, Google says that the same ad can have both headline or sitelink or even click-to-call. Since this is the same ad, it means it is the same impression which should have been counted. Why the number of impressions is different between the click types in the report shown? Thanks for your question. The image we had in the post was actually showing the wrong data, and we have replaced it. You are correct in that the number of impressions for each click types should ad up to the campaign total number of impressions. The new image above represents this.